When Josie, a young athlete, had the goal of making her middle-school basketball team, she spent time preparing for tryouts. She knew she needed to learn to dribble, shoot, guard, throw, and jump with ease – all moves necessary to be a successful basketball player. Josie worked with her brother for hours each week, focusing on drills to help her master each move until it became effortless. Whenever she and her brother play-practiced games, her improvement exceeded her expectations. Finally, it was time for tryouts. Josie succeeded with flying colors and made the team. Because she had already mastered every single move, she never had to practice or drill again. Right??? Wrong! Our young athlete had to continue drilling to refine her skills and to maintain her proficiency. The same is true with mathematics. Students must spend time in repetitive yet motivating activities that develop foundational skill fluency and competence so they are able to perform increasingly complex tasks. 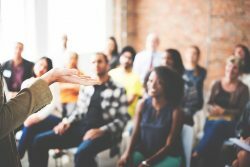 Then, after achieving fluency, they must continue to practice to maintain the fluency and competence they worked so hard to attain. In Part 2 of this Fluency Series, we took a broad look at number sense and why it’s important for students to be fluent with these concepts. Internalizing numerical relationships requires fluency. When students become accurate, efficient, and flexible with numbers and operations, they are better equipped to problem solve and to use mathematics to describe the world around them. Otherwise, their working memory becomes bogged down with unsophisticated thinking and basic counting to the point that they cannot hold onto the rich and useful mathematical ideas that help with rich tasks. 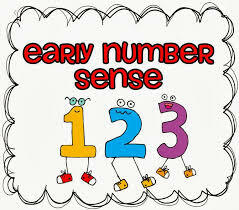 Here, in Part 3 of this Fluency Series, we take a look at what it means to be fluent in early number sense. 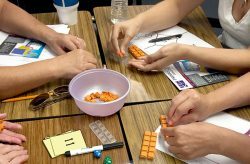 The 0-10 number concepts developed in pre-K, kindergarten, and 1st grade lay the foundation for understanding our entire number system (more on this in part 4). Thus, it is critical that our youngest children become fluent in the language of building numbers. Subitizing. Instantly recognizing quantities (subitizing) and their relationships to other quantities plays a major role in children’s building early number fluency. With practice, children can become accurate, efficient, and flexible in identifying quantities at a glance. My favorite way to get started is using five-frames and ten-frames. 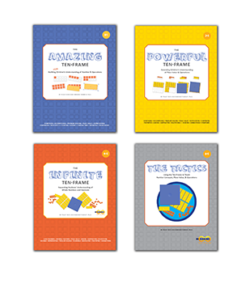 By using these structures, students recognize quantities in relationship to 5 and 10. For example, they see that 4 as one less than 5, 7 as 2 more than 5, and 9 as one less than 10. The ten-frame provides a powerful way for children to visualize quantities without having to count every time. In addition to using the ten frame structure, children might also use unstructured sets of counters, pattern blocks, etc. for subitizing opportunities. 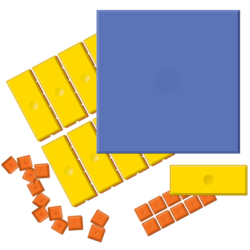 When a set of 3-10 counters is revealed, students might use spatial skills (I see five tiles because there are 3 on the top and 2 on the bottom) or color (I see 7 blocks because I see 3 yellow, 2 red, and 3 blue) to help them recognize quantity. Subitizing activities are often done with a whole group, but these activities can also be done with children in pairs and small groups. One child plays the “teacher” who places a specified number of objects (no more than ten) in a cup and “spills” the counters for a partner to subitize. The important part of this “game” is that the students have the opportunity for repeated practice to build fluency. For those of you working with older students, note that this “game” works with students up to 5th grade . It reminds them to use their visualization skills to identify quantities. (We’ll extend this idea further in Part 4 of this series). Composing Numbers Within 10. Young students should also be fluent in identifying various ways to compose and decompose numbers within 10: identifying number pairs that compose a specified quantity (e.g., 5 can be composed of 1+4, 2+3, and 0+5) as well as multiple addends (2+1+2 = 5). While they are not necessarily composing and decomposing symbolically, they are developing those skills by using a variety of objects and drawings. The subitizing activities listed above can also be used for composing numbers within ten using ten-frames, pattern blocks, counters, etc. Composing 10 With Number Pairs. As mentioned in the previous post, the idea of making a ten lays a strong foundation for later work. Students should be able to name the number pairs that make ten (1 and 9, 2 and 8, 3 and 7, 4 and 6, 5 and 5) as well as name the missing number when one addend is named (e.g., what goes with 7 to make ten?). A great game for developing fluency with composing 10 with number pairs is Making Tens. Two students work together to make as many tens as possible. They need only a six-sided number cube, several ten-frames, and objects to place on the ten frames. Player A rolls a die and places that many counters on a ten frame. Player B announces how many more are needed to make a ten and then rolls the die. Player B counts out the “rolled” number of counters into his/her hand. Player B fills the current ten-frame, if possible. If there are extra counters, s/he places them on a new ten frame. Player A then announces how many are needed to fill the new ten frame and repeats the process. The players repeat steps 2-5 until all the ten frames are filled. Young students must also go beyond making tens to making one group of ten. Making the shift from ten ones to one group of ten is a huge developmental jump! Understanding that one group of ten and ten individual ones concurrently exist proves to be difficult for most young children. It’s important to provide students with many opportunities to build fluency with making one ten from ten ones. A simple way to do so is to play the Making Tens game described above, only this time providing a cover for each ten frame. KP Ten-Frame Tiles work great for this, but you can also use paper ten frames and blank paper to serve this purpose. Once students fill a ten frame with ten counters, they should place a cover on the ten frame to represent one ten. They can lift the cover and see that there are still ten ones inside and then replace the cover to represent one group of ten. In the next blog post, we’ll examine ways in which these activities can be “grown up” for use with multi-digit whole numbers and with decimal fractions. You’ll be amazed at how these simple activities can be transformed for use in the middle grades.